Virtuagym manages all aspects of your business, bringing all processes together in one intuitive platform. We're all living an increasingly sedentary lifestyle. To keep people active and healthy, we need to change habits. At Virtuagym, we believe professionals are best qualified to help people change their lifestyle and habits. That's what our software does: it helps professionals change lives. With extensive exercise and nutrition guidance, progress tracking, and communication tools, professionals can help guide people 24/7 and take their wellness service outside the walls of their facilities. Provide exercise and nutrition coaching services with a state-of-the-art and proven set of tools. to help more people in less time. coaching digital, and deliver lasting results. Gain access to a complete toolset that's customizable to fit the needs of your business. Whether your business revolves around personal attention, or if you'd rather let people handle things on their own, Virtuagym will provide the foundation on which you can build your business. Use our database with thousands of 3D-animated exercises to create workouts for every type of goal. Personalized nutrition plans with live calorie and macro tracking, custom meal plans, an extensive food product database - everything you need for professional guidance. Hundreds of metrics allow you to keep tabs on progress no matter what the goal is. Integrate with wearables and scales for an even easier experience. Assign personalized exercise and nutrition plans to individual members, and involve them in group challenges for additional motivation. With your own mobile coaching app, you'll have access to progress data and other key information wherever you are. Why do you need a fitness coaching software? As a gym owner or personal trainer, you want to provide your members with the best workouts they can get. With fitness coaching software you can improve your level of service to customers and give every member a unique experience. Virtuagym fitness coaching software will ensure you spend less time performing menial tasks so that you can spend more time on growing your business. Can our fitness coaching software help to enhance your branding? Fitness coaching software can help with the consistency of your branding. Branded apps with your own logo, for example, can help you communicate a consistent look. Fitness coaching software will make sure your colours and your logo are always visible when your clients interact with your business. Also, branded workout and nutrition plans will help to build a connection between training and your brand. How can our fitness coaching software improve client loyalty? Fitness coaching software helps you to stay available all the time so that outside of office times your customers know that they can come to you with questions. This helps build trust and reliability. Of course, all this doesn’t work if you do not offer the amazing experience you promise. 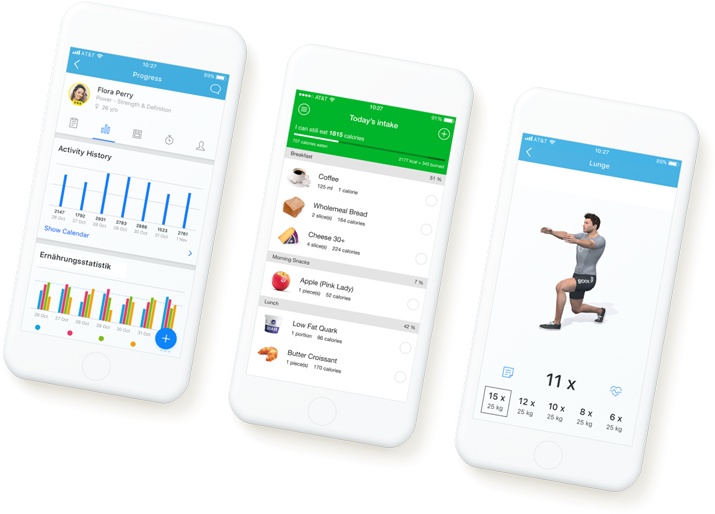 Using Virtuagym's fitness coaching software, you can have your own branded app, tools like progress tracking and individual training plans, and build a community which will put you on the right track to customer loyalty. How to use our fitness software for online coaching? The right fitness software will give you the possibility to do online coaching. This means your brand and your whole business are now online and available anywhere, anytime. The right fitness software will also help you through social sharing. By letting your members share their workouts on social media, you raise brand awareness with your existing members, and it means free promotion among your members’ networks. Personal profiles in your community help people stay connected with your brand and also improve your professional appearance to potential clients.